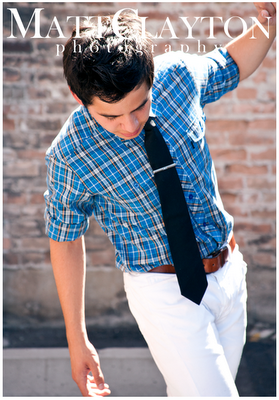 What could new management mean for David Archuleta? Melinda Bell: Is this David's new manager? When Melinda Bell tweeted the following yesterday: “Watching @Jonasbrothers with @DavidArchie life is great!” ArchAngels the world over took notice. We know David’s been looking for new management (in one interview, he even explained that that’s what his “Elevator” dream was all about — going from floor to floor meeting prospective managers). So who is Melinda Bell and is she the answer to fans’ “David needs more promotion” prayers? Working with Wright Entertainment Group, Melinda Bell has managed such pop music celebrities as *NSYNC, Backstreet Boys. WEG head, Johnny Wright, even worked with New Kids on the Block! Maybe your odds of becoming the next Britney Spears aren’t the best, but that doesn’t mean you will never be a mover-and-shaker in the music biz. There are lots of jobs behind the scenes that can be fun and exciting. Just ask Melinda Bell. During her career as Vice President of Special Projects with the music management company Wright Entertainment Group, she’s worked with Backstreet Boys and *NSYNC, to name just a few. While working at the ‘happiest place on earth’, she organized a performance by New Kids on the Block. New Kids manager was Johnny Wright. Johnny and Melinda became good friends and when Johnny decided to set up Wright Entertainment Group (WEG) in Florida, he called her. Melinda was there when Backstreet Boys auditioned for Johnny. “They auditioned for us in a pizza parlor. Nick was shorter than me back then – and I am only 5’1,” Melinda laughs. Lately, Melinda’s job is focused on one of WEG’s top artists -*NSYNC. From Radio Disney to J-14 Magazine, Jive has made it very clear that they are promoting David to a tween/teen audience (which they should — the 16-to-24 demographic is pure GOLD to marketers … their chance to “brand” youngsters and win over their brand loyalty for life — and, of course, David himself is still a teenager). But somehow, seeing David lumped together with such musical lightweights as The Jonas Brothers feels like a diamond being set on a Cracker Jack ring. But hey, if Melinda can finally get our guy’s music on the radio (maybe even Canadian radio 🙂 ), I figure we should roll out the ArchuWelcome Mat! P.S. Exhibit A that David is the real deal, not just another Teen Idol, this “bio” posted “by the artist or their representative” on Amazon.com HERE. And there’s the insatiably curious David, who doesn’t have all the answers but is resolved to keep searching for them. Look no further than the sugar sweet S*A*M and Sluggo-produced single “Something ‘Bout Love” for the sound of reach-for-the- sky bliss, and the hard-driving big chorus of “Complain,” written for David by EMan, David Hodges and Claude Kelly, which, despite its title, is an encouraging song beckoning the listener not to take anything for granted. 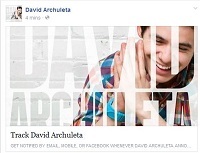 This entry was posted in Fan experience and tagged David Archuleta, The Matt Clayton ArchuMagic is back!. Bookmark the permalink. 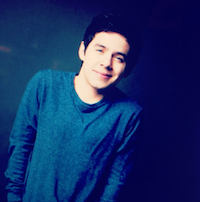 70 Responses to What could new management mean for David Archuleta? Nice review of WEG and Melinda TOfan. I learned alot. As a fan who just wants to enjoy the ride, I hope that David’s management has his best interests at heart (audience demographic? marketing? and on and on) but I don’t want to focus or think about it much. I kinda just want to enjoy the music and the trip. As a business person, I see signs and symptoms of good business practices, mediocre and poor to non-existent, that is, if I put on my business hat. However, other than acknowledging these bumps, I don’t see what more as a fan one can do. It is after all David’s choices, decisions and learning curve. I own my reactions and dreams of David’s career. David own’s his dreams and his career actions. So, if Melinda and WEG are able to implement David’s dream to his target audience, then I’m as happy as a clam. However, what that dream is and who his target audience is seems to have been loosely described in COS in that he hopes to inspire, especially young people like him. All this management stuff confuses the heck out of me. And I’m not too strongly opinionated about it either way – to be honest. I’m like kizzi’s non-business-side: “I’m enjoying the ride”. But I have noticed the stronger promotion towards the younger crowd, even from Jive – the “friendship bracelet” included in the fan edition of TOSOD and David responding to the little kids’ voicemails, for example. I do understand that they are a huge market to sell to and I can understand wanting to take advantage of that. The main thing that makes me hesitant about the whole “selling to the younger crowd” thing is that I had the impression that David’s music was kinda trying to get away from the standard bubble gum pop thing. And this almost feels like backtracking? If that even makes sense? What I think I’m trying to say is that I’d like him to be promoted to the 16-to-24 demographic (hey, I am part of that group) but I feel like some of the recent promotion has mainly been for even younger than that (10-15 maybe?) and maybe I’m not such a fan of that? I dunno, I just hate the stereotype when he gets associated with the likes of the Jonas brothers and other “tween” sensations that everyone assumes he doesn’t have talent and is just in it for the fame and money. TOfan’s making us think heh! Well TOfan, that tweet piqued my interest too – in a circumstantial way. I’m with Kizzi and abanana, whatever David chooses to do and who he chooses to do it with is fine with me. Let’s just enjoy the ride. An interesting thing though about WEG – they have some powerhouses in their ballpark, not just lightweights. I would hope that whatever demographic is ‘choosen’ for David to be marketed, that they find a way to do it – probably differently than they have done it for teen singers in the past – just for David. He is an artist, not simpley a singer, with such eclectic tastes and moving in a direction not taken many (any?) so far with the style and meaning behind his music. They need a totally unique plan for David, imo. Now THAT’S a BIOGRAPHY. Amen! I’ve added that amazing Amazon bio to the end of the post as Exhibit A of David’s non-Jonasness!!!!! & thanks for all your thoughtful comments, guys. You’ve made ME think! lol And you brought up something I’d sort of forgotten about, David’s own words in COS. The fact that David’s been searching for new management for quite some time now reinforces to me that he’s determined to find a person (or team) he can trust — not necessarily to make him rich and famous — but to work for him and with him on the path he sees ahead. A path where music really means something. love that last line too. Oh My Heck – that bio is amazing. “By the artist or their representative” Pretty sure it’s not written by David – he could not write such nice things about himself, his humility would get in the way. TOfan…..”The fact that David’s been searching for new management for quite some time now reinforces to me that he’s determined to find a person (or team) he can trust — not necessarily to make him rich and famous — but to work for him and with him on the path he sees ahead. A path where music really means something. I second and third everything you said and David’s words about giving his fans something that will change their lives….well, he’s already done that most definitely. He’s following his heart and his innermost callings and hopefully he will attract to himself the right people to support those callings, think he will. His new management team surely will see the unique and rare artist that David is (hopefully) and not lump him in with every other teen artist out there. Sounds like a positive thing though, so far! “But somehow, seeing David lumped together with such musical lightweights as The Jonas Brothers feels like a diamond being set on a Cracker Jack ring.” I feel this as well TOfan. My opinions on the management issue> IDK!!! TAGGB… he changed up the lyrics!!! upstairs has a plan too…and David is in tune with Him> JMO”I agree with this too, and I am just excited to see where it will lead him. Also loving the elevator from last night! Biography – just needed to say the comments on the many sides of David, youthful, inspirational/role model, insatiably curious and full of aspirations. OMG, pure, bea-u-ti-ful TRUTH! 😀 and 😀 and more 😀 !!! Jive tweeted a couple of hours ago to check out the new Bio at the OS. Same one you found on Amazon Tofan. It’s a great BIO. I think it’s awful sweet of David to have Daniel play guitar for him at the Utah events. These 4 Q&A vids are blowing my mind … 1st the hilarity of David describing going to the grocery story & miming a check out clerk. Oh. My. Heck. Then, the profoundly simple truths of Part 2 *sniff* Off to watch 3 & 4! Well, I listened to David’s explanations only (thank you Kizzi!) of Who Am I and Falling Stars and I must say that that kind of background info is what I live to hear – will give new depth and meaning to the songs when I finally hear them, lol. TWO weeks and counting. UWAH!!!!! Every little snippet i hear has so much meaning to it!!!! Its like Davids giving us a sundae and he just keeps adding cherries on top..haha. I can’t stop watching that four-part Q&A… it reminds me why I felt so compelled to go meet the buses on the Idol tour two years ago … to prove to myself that this guy is FOR REAL! That he actually exists! The fact that he does continues to blow my mind. I mean, who at any age, never mind 19, thinks about how your attitude at handling a situation can affect and influence other people? Who can be so brutally honest about themselves IN PUBLIC? Who can be so free of guile and ego and fakery? And then there are the songs???? I thought I’d heard 1000 Miles 1000 times but this one is different… don’t say I didn’t warn you. And the ending on this Elevator, gah, can’t even. kizzi, Falling Stars gets me in the gut… your right, that voice. Thanks awestruck for those tweets from the DJ. I am so stuck on the Q&A I haven’t gotten to the performances yet. …. feel this warmth that spreads inside me and I get kinda smiley, totally relaxed, and forget about anything negative in my day. Words escape me today but I have no worries as others are saying it all very well for me. This young man is ‘killing me softly’ with not only a song, but even more so with his words. Tofan, Elevator, he does it again, only different. How does he do it – and each time he seemlessly gives us these spontaneous, beautiful melodic nuggets. When he says he is “melody sensitive,” he is not kidding. Good night Mary. ATM. Something Different. Yep. Amazingness. Tonight I am in awe. Again. heyitsfrederick @MelindaWEG Hey Melinda!! 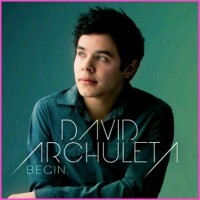 Is David Archuleta managed by WEG now? MelindaWEG @heyitsfrederick why did you ask that? heyitsfrederick @MelindaWEG I was just wondering since you tweeted about him a few times (and I wish he was!) I love WEG! Thanks for this info Katheryn. Would David still be under Jive/Azoff until his CD comes out? Maybe the question to MelindaWEG should have been is David considering/is WEG interested in becoming his new management? Hi Katheryn, thanks for posting the info about WEG. Well, that’s interesting, was wondering if it was a done deal or not…well I guess not. Maybe she is just a fan? Or doing a little temporary promo, who knows. Maybe David still hasn’t decided which floor to get off on. Lots of great visuals, sounds and warmth here with all the great and awesome videos, the wonderfully adorable 4 part interview and more song snippets today! They are beautiful teasers for sure, this album will be David through and through, couldn’t be better. Will have to catch up more tomorrow. Oh I would love to be at one of those small, intimate acoustic shows he’s been doing, couldn’t get much sweeter. peppertara, “Maybe David still hasn’t decided which floor to get off on.” bahahaha, LOVE that! I watched that 1000 Miles again just before bed last night and there’s something about the simple purity of it that dissolves me … peppertara, I’m sure that intimate environment had a lot to do with that … like he was back on his home piano in that old pre-Idol YouTube. Only now he can look into the eyes of the people listening … and smile, knowing how far he’s come. Thanks awestruck, I needed that…. bottle of wine not a bad idea either… it is 5:00pm here>hola!!! There is so much to this young man. I could listen to him talk about music forever. I think what comes to him so naturally is a gift and he is so unsullied (is that a word) and pure in his responses. The way he answered the question about what he sees for himself in 10 years> WHO THE HECK ELSE would answer that way????? Seems all very strange to me.. I give up, at least on the worrying about it part. Not sure what the “wink” is all about. My guess is that they’re hoping to be. refnaf…yeah…that’s what I was thinking…I trust David. I hope he has enough quiet, alone time to think through things…..I am not going to worry. I am just going to focus on David’s music and supporting him the best I can. I look at the gorgeous picture by Matt (David doing the balancing act) and listen to David’s interview (which are unbelievably awesome!) and think, David future has always been guided and I am sure it still will be. Thanks for the great article TOFan! I lurk here everyday! Love the comments! His joy in singing is so evident here. It's written all over his face. Ok, so there’s been so much going on lately that I’m gonna have to divide my comments a bit lol. The Matt Clayton photo: Excuse me?!?! White pants? Eyelashes? Plaid? What the heck is he trying to do?!?! The Q&A: So, David finds hand-holding gross. 5-year-old David FTW. THEN, he answers questions about his life in 10 years or about the meaning of music like friggin GANDHI, only better. I’d love to run a scan on his brain and see what is going on in there. The new runs and other accessories in the songs: If he just makes that stuff up right then and there IT IS SO UNFAIR. Nobody should have the right to constantly surprise people like that. I want to be able to predict, because that is the safe way. But David just keeps coming up with new stuff and it’s killing me ’cause I kinda want to keep a mental scrapbook about all the runs and changes and now there’s just too many!! So, in conclusion: I’m reporting David to the police. Attempted WOman-slaughter and ridiculously good looks combined with total cluelessness about being so darn HOT should do it. TOfan: I don't understand how David can get away with so many crimes, happening right THERE, in your face, publicly! Are the cops stuffing their faces with donuts or how do they not notice?! Or maybe the answer is the most obvious one…. just look at David. How can you put that face in jail? So UNFAIR. OK I just watched the Q&A vids. He is too much. The 4th one – he is seriously adorbs <33333333 "Why is my brain so much slower than anyone elses?" I totally thought things like that when I was in high school too. Hey, thanks for the welcome. I’ve visited this site a few times before, usually following a link. I’m not Canadian, but I do live in a border state (Washington, near Seattle), so perhaps I can be considered an “Honorary SnowAngel”! MelindaWEG @Tobym23 david knows I am here to help him if he needs it. 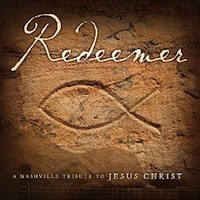 MelindaWEG Crazy, 3 artists I deal with have the words “Who I Am” in one of their song titles… Can you name them? I tell you, this woman is a tease! For sure, Katheryn, consider yourself an Honorary SnowAngel! You’re practically on the 49th Parallel! I think you’re right about Melinda lobbying for the job. Not sure if that approach will work with David, though. lol Seems so strange he’s at such an important point in his career without good solid management representing him. But better to wait for the right person and the right time … sounds like one of his interview answers, bahahaha. Katheryn – Absolute welcome here as an Honorary SnowAngel, and you are not alone with that title. Yes, that’s an interesting Tweet Katheryn. I’m thinking David has maybe had talks with WEG reps and has probably checked out a few others (floor 4, 5 & 6) to be precise, ha. I’m not worried though….think you’re right TOfan, he is waiting for the right person and the right time. I feel David will attract the best of the best available to support him. He is so darn wise for those 19 yrs of his! He’s no ordinary young artist flailing around in the music biz trying to make a go of it. He knows what he feels right about and he goes with it and learns so quickly too. Perfect examples in that wonderful 4 part interview. I just love his balance of sweet, young, funny, honest as they come David to the wise, worthy, wonderful age old wisdom he demonstrates in only the way he can. I is priceless and refreshing and so joyful to see. His acoustic sets that he does, priceless too. Thanks for all the posts here, he’s keeping busy these days, yay and an upcoming tour (which he says they are working on)…..such anticipation, keep your fingers crossed Snowangelz. Oh and hugs too…to any one that needs it. Just gave out some today to a friend and a relative who lost their pets yesterday. The ups and downs, things are gonna get better, whatever it is. – has probably checked out a few others (floor 4, 5 & 6) to be precise, ha. – He knows what he feels right about and he goes with it and learns so quickly too. – I just love his balance of sweet, young, funny, honest as they come David to the wise, worthy, wonderful age old wisdom he demonstrates in only the way he can. – The ups and downs, things are gonna get better, whatever it is. Well, I have pretty much just recopied your comment, lol. Says it all for me this morning. Me three, peppertara & awestruck! And I think where you heard David say that was in this clip. “Let’s get crackin’ before I say anything else that doesn’t make sense” LOL ❤ I'm running out of words here, so I'll just say I LOVE HIM SO VERY MUCH. Chatter: Any plans to tour after the release of this album? If so, how soon after the release of this album? David: We’re actually talking about doing some touring soon. I can’t wait to go on tour again. It’s something that’s really enjoyable. It’s where it all pays off after the hard work of doing the music. You get to perform, have a good time, sing to the fans and see what songs they react to and see them having a good time. David is scheduled to appear on Regis & Kelly on October 6th, acc. to this listing. Hope he sings Elevator!!!!!! Think Regis and Kelly will notice any difference from the interview/performance in May 2008??? That Angel’s performance was so lovely to listen to again. He’s gonna blow everyone away! So excited for the next couple of weeks! Feel like I am going to explode! I am excited for you Embe! Dreams coming true is such an awesome thing! Besides finally seeing David in the flesh, I promise it would be great fun to finally meet the fans too. It’d great if I could meet you too. Ya never know! From SnowAngelz I’ve had the pleasure of meeting the fearless (and hilarious) leader TOfan, the lovely Refnaf, and the equally lovely Awestruck (and Mr. Awestruck)! It is one of the best things of being a fan. embe, I second vermeer’s sentiment – I hope to be able to meet you!! It's official we have a new client! Welcome @DavidArchie to the @WEGMusic family! !